I happen to be one of those people who are crazy about chocolate. I love chocolate anything, but a chocolate dessert is my absolute favorite. And a dessert made with chocolate and caramel candy? Yes, please!! I just bought some cute little mini tart pans and have been thinking about making chocolate tarts for awhile now. Although I've made a couple of lemon tarts and other kinds, I've never tried making a chocolate one. When I was shopping recently at Walmart, I made a trip down the candy aisle and found one of my favorite candies in the world, Milky Way. But these were not regular candy bars, they were Milky Way Simply Caramel Bites. So cute, and the perfect snack size for myself and my grandchildren. I have been eating Milky Way candy bars since I was a kid, and I just frankly adore them. 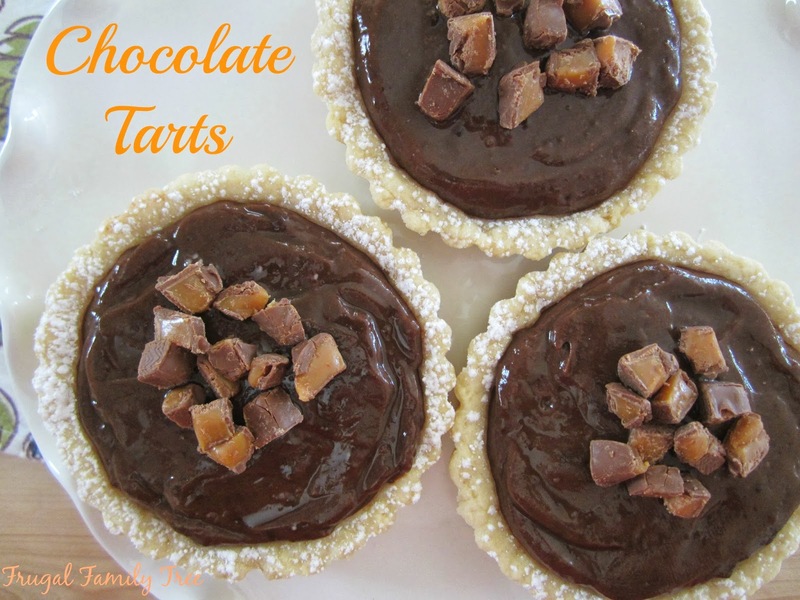 These are just so cute, and I decided to make my chocolate mini chocolate tarts with them as an ingredient. I can remember my own Mom using candy in her desserts, and they were always so delicious. 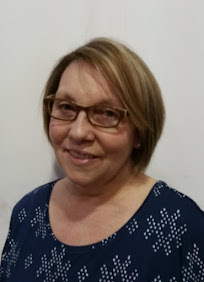 I try hard to be the best "Nana" I can be, and in my book, that includes providing yummy treats for my four grandchildren. I didn't doubt these little tarts would be a big hit with them. I have to say that Walmart has a fabulous candy aisle, and it's pretty easy to find your favorites. Not only did I find Milky Way Simply Caramel Bites, but Snickers and 3 Musketeers Bites, as well. With three kinds to choose from, I can definitely #EatMoreBites in these kinds as well. 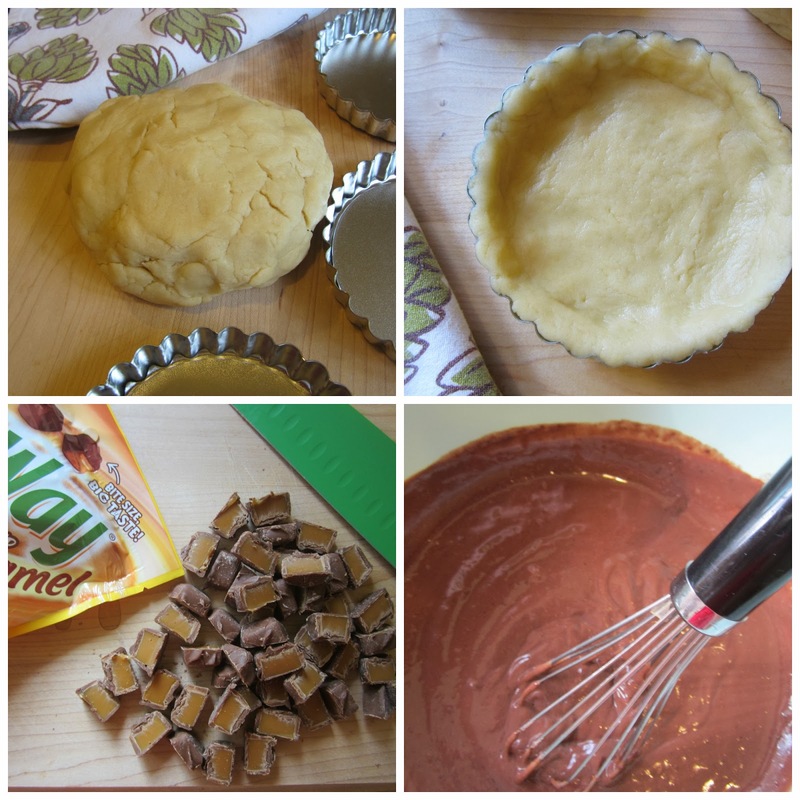 The thing that I have found about making tarts is that making the filling is the easy part. The hard part is getting a light and flaky tart crust. You don't want to mix the dough too much or it will end up being tough. I wanted the Milky Way Simply Caramel bites to be inside the filling, and on top. You can never have too much of a good thing!! I put some into my mini food processor and chopped them up so that they would blend easily into the chocolate filling and create a rich chocolate and caramel dessert. Then I used larger pies to go on top of the tarts, as a finishing touch. Honestly, making tarts used to intimidate me. They seemed like such a fancy dessert, and I only ever ate them at a restaurant or someone's house that was an excellent cook. But they really aren't that difficult to make, and I'm so happy I made these. Were they good? Yeah, they were super good!! And I'm totally going back to Walmart and picking up more Bites, this time in not just the Milky Way Simply Caramel, but the Snickers and 3 Musketeers kind, too. Combine butter, 1/2 cup sugar, vanilla extract, and salt in a large bowl and mix together with a hand mixer until smooth. Stir flour into butter mixture to make a smooth dough, but do not over mix. Press dough into a 8 mini tart pans refrigerate for 30 minutes. Preheat oven to 350 degrees. Bake tart shells until light and golden, 10-15 minutes. Remove from oven. In a heavy saucepan, combine sugar, cocoa, cornstarch, and salt. Gradually stir in milk. Bring to a boil over medium heat, boil and whisk for 2 minutes. Remove from the heat and whisk in butter and vanilla. Whisk in finely chopped chocolate and caramel bits. Refrigerate filling until chilled. Spoon into tart shells, and top with sliced Bites pieces. I dusted the shells with powdered sugar before filling them, but this is completely optional. 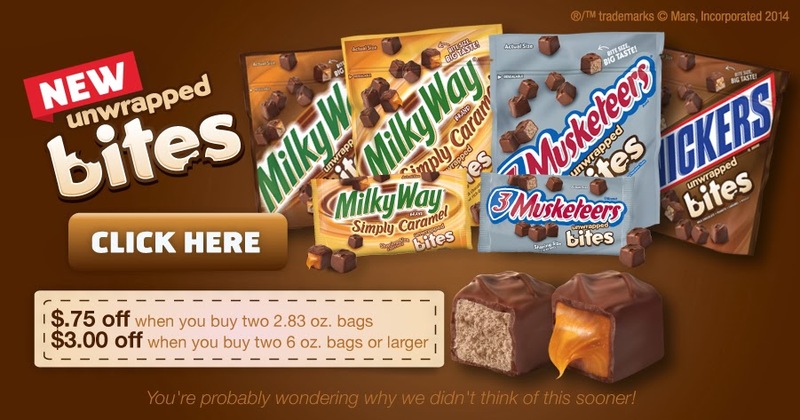 If you'd like to try Milky Way Simply Caramel Bites, or the two other available kinds, Walmart is offering two great money-saving coupons for you to use. 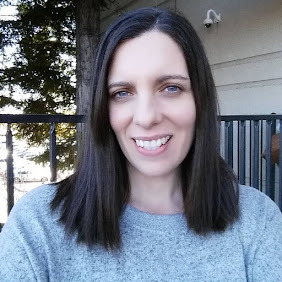 You can also join the #EatMoreBites Twitter Party on Friday, March 14, from 1:00-2:00 PM EST for a chance to win $550 in Walmart Gift Cards. 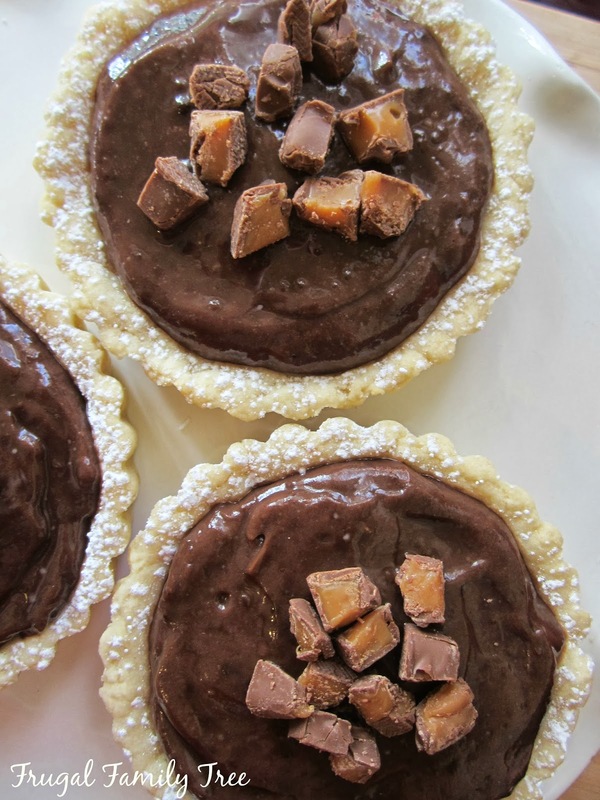 I LOVE chocolate tarts! I would have never thought to use the Milky Ways as a filling! Those tarts look amazing! 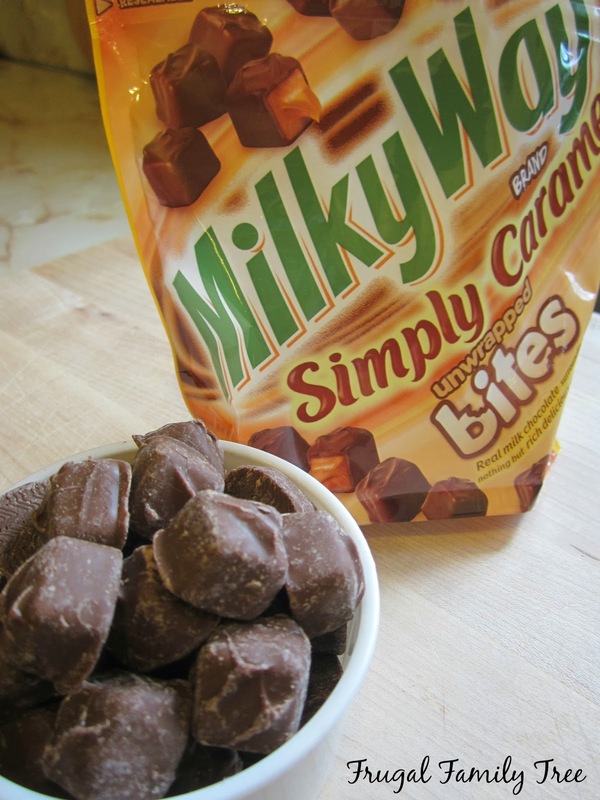 I love Milky Way Simply Caramel, so I know I'd love these!